I attended the conference on NHS whistleblowing that was organized by the British Medical Association and an organization, PatientsFIrst, that campaigns for whistleblowers. 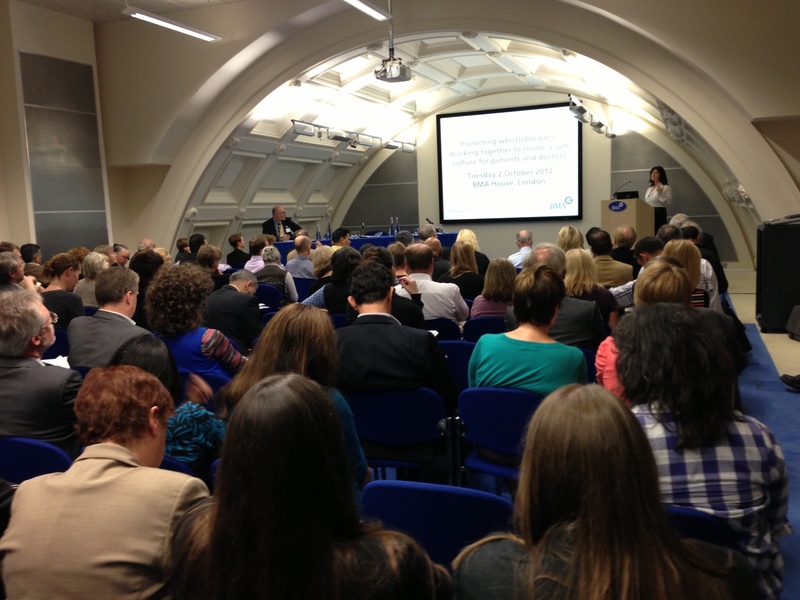 It was a packed meeting, with lots of stimulating talks and good discussion. This is a picture of the meeting. Health wise, I am coping fine. I took flavoured water today, which was much better than plain water. It was not easy seeing all the delegates at the meeting have tea, biscuits and lunch, while I just took water! My story appeared today (October 2) in the Cambridge Evening News, the London Evening Standard and Mail Online. In the afternoon, I gave a telephone interview to a local Cambridge radio station. 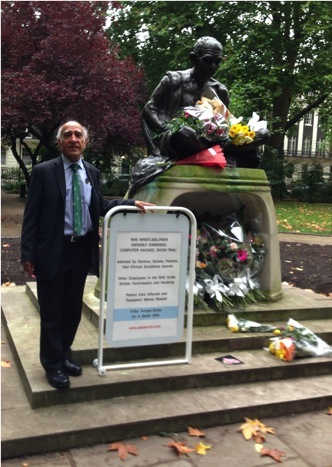 Since the conference was held at the British Medical Association headquarters, which is across the road from Tavistock Gardens, after the meeting I went to Gandhi’s statue in Tavistock Gardens. Today, Tuesday October 2, happens to be Gandhi’s birthday. As always happens on that day, people leave lots of flowers around his statue. The photograph below is of me in front of the statue, along with my poster. Superb ifnrmoation here, ol’e chap; keep burning the midnight oil.